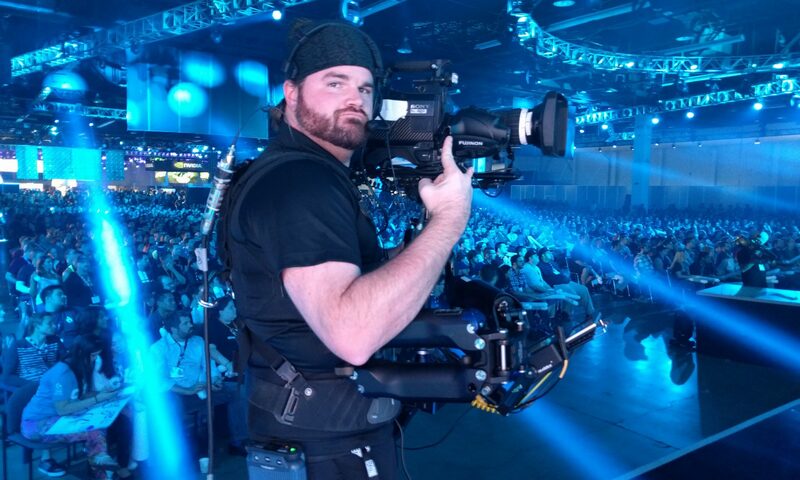 William B. Demeritt is a Camera operator / Steadicam operator based in Los Angeles, CA. He’s a member of IATSE Local 600, NABET-CWA 53, and Steadicam Operator’s Association. He’s familiar with scripted TV and feature film production, as well as live event, live-to-tape, multi cam and live broadcast environments. William worked as a professional camera operator and Steadicam operator for a number of years now, but he’s thought about framing, blocking and the aesthetics of movement and cinematography for his whole life. He’s here to facilitate communication, actively find solutions and do his best to make the product on screen just as dynamic and exciting as the day it was shot. He’s looking forward to collaborating with you on your next project to bring your vision to the screen. Please email or call for Steadicam rental and operator rates.